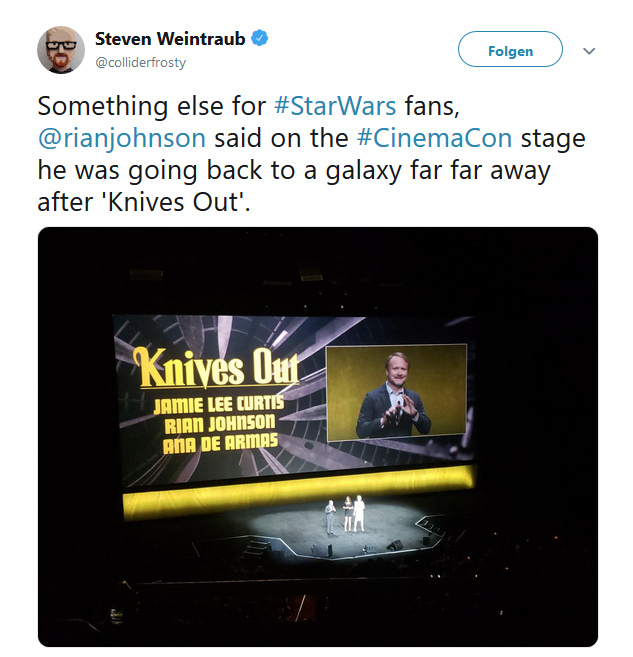 Despite ongoing speculation to the contrary Rian Johnson once more confirmed that he will return to Star Wars once he’s finished with all of the duties for his current movie “Knives Out”. Steve Weintraub of Collider mentions it in his tweet about Rian Johnson’s appearance at “CinemaCon”, where Johnson talked about it. So even if some fans would like for Rian Johnson to never return to the galaxy far, far away ever again, it seems we will definitely get two trilogies, one by Benioff & Weiss, another one by Rian Johnson. This also probably ends all speculation that Disney might give Star Wars a long(er) rest after Episode IX. Next Article: Hasbro: No More Jabba's Sail Barge Replacement Boxes For You!